There are two strong currents flowing through humanity these days. One is a Global Community and the other is Nationalism. Today, Earth Day, is a big breakthrough for a Global Community. 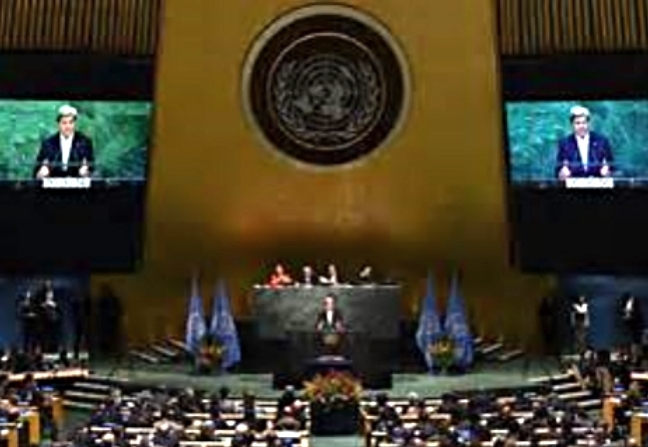 Over 170 countries signed the Climate Change Agreement that was negotiated in Paris. Many people feel that the agreement does not go nearly far enough. I agree. Still, it was a major accomplishment to align that many countries and it has brought the world to focus together on the climate change issue. There is reason for concern, however. The Climate Change deal suffers from the same deficiencies as the Universal Declaration of Human Rights (UDHR). Both are legally unenforceable. People like to claim that the UDHR is enforceable because it has become “customary law,” but the truth is that most civil rights lawyers, myself included, cannot use the UDHR as binding authority in court. The drafters of the UDHR, Charles Malick, the representative from Lebanon, understood that there would need to be future documents to make the UDHR binding and they included Article 28 embodying the vision that the UDHR would become “fully realized.” UfR, and the Global Bill of Rights upon which it rests fulfills this goal. The danger with these non enforceable agreements is that people come to think they are much more powerful than they truly are. They can diffuse progress to truly enforceable documents, or they can pave the way. It’s up to us to make the most of what’s been created this Earth Day.